Two world-class athletes. 100 miles of running. 23 hours, and more than 66,000 feet of vertical loss and gain… and (this year) one stunning finish. The Hardrock 100 is a storied race. 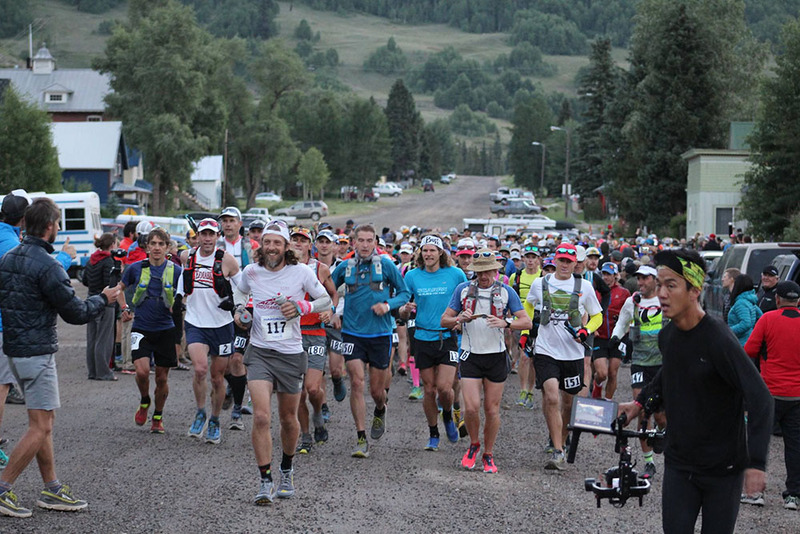 The event through the Rockies around Silverton, Colorado, challenges even the world’s best ultra runners with massive elevation set over 100 miles of the San Juan Mountains. After duking it out for nearly 23 hours this weekend, two runners emerged neck and neck. 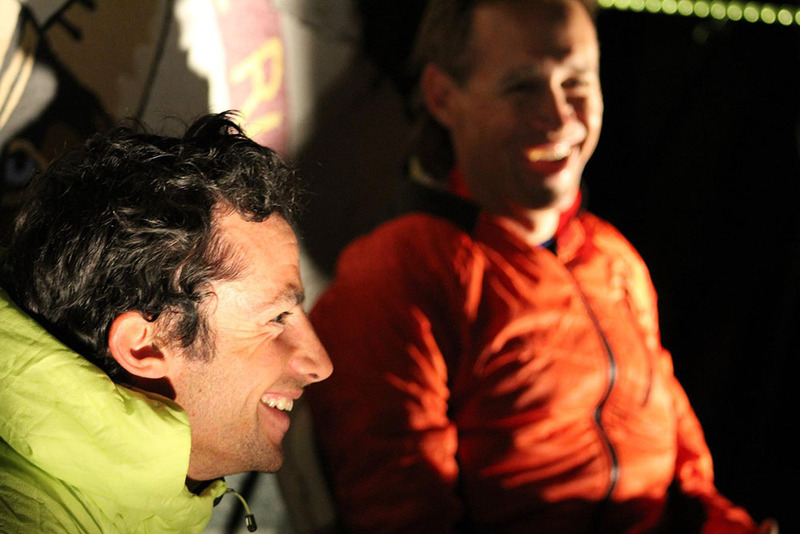 But Jason Schlarb and Kilian Jornet – the course record holder and defending champ – agreed not to duel it out at the end. Instead, they took the final turn and crossed the finish line hand-in-hand, tying for first place. 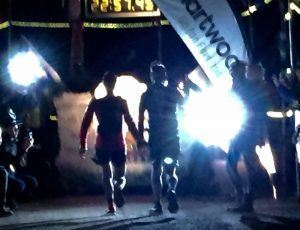 They both finished in 22 hours, 58 minutes, 28 seconds. “It’s logical…not to make a sprint to finish one minute ahead,” said Jornet, 28, making known that he prioritizes the camaraderie and experience over sole ownership of a trophy. It was the first time since 1997, when Mark McDermott and Mark Hartell finished together, that the race ended in a tie. Anna Frost took the win for the women in 29:02:09. I was there to witness the finish. To me, it was a fitting ending to the 2016 Hardrock 100, in many ways a perfect race. Surrounded on every side by mountains jutting straight up, Silverton High School serves as the start and finish of the grueling and dangerous high-country ultramarathon. The night before, Molly Cuffe sat at a table in the old mining town with several trail running media professionals at a Mexican restaurant. Cuffe, the Director of Global Brand Marketing for Smartwool – Hardrock’s title sponsor – was explaining the company’s new logo when she was interrupted by the approaching server. “Fish taco platter?” he shouted, cutting Cuffe off mid-sentence. “Did you have the fish taco platter?” He slid the large plate under Cuffe and continued distributing food, halting the meeting in its tracks. After all, there was food to be served. The Hardrock 100 captures the growth and popularity of ultrarunning but maintains a low-tech, self-sufficient, old-school charm that harkens back to the sport’s origins. The rapidly growing recreational sector of ultrarunning melds with the sport’s elites in Colorado’s grizzled old mining country. The mix of old and new, elite and weekend-warrior, is what ultra-running is all about. And Silverton’s 638 residents know the Hardrock. The small town’s staging of a world-class endurance event means many locals can name – and recite a resume of – the elite athletes wandering their streets each July as proficiently as ultrarunning’s most dedicated fans. These big names don’t phase the locals, who welcome the influx of tourism dollars while putting on one heck of an event. “This is a huge weekend for us, one of the best of the summer,” said Deborah Childers, the owner of the coffee shop Cafe Mobius on Silverton’s main street, where runners and their crews formed a line nearly out the door in the minutes before Friday’s race start. Silverton’s attitude toward the race – it’s cool, but business as usual – captures why Hardrock is the perfect ultramarathon in 2016. It’s a world-class event with old-school charm. For example: The Hardrock is covered live with GPS tracking and several media outlets, but the race is a low-tech production, with those on the wait list often congregating in the high school gym on race morning, awaiting news of no-shows like standby airline passengers. 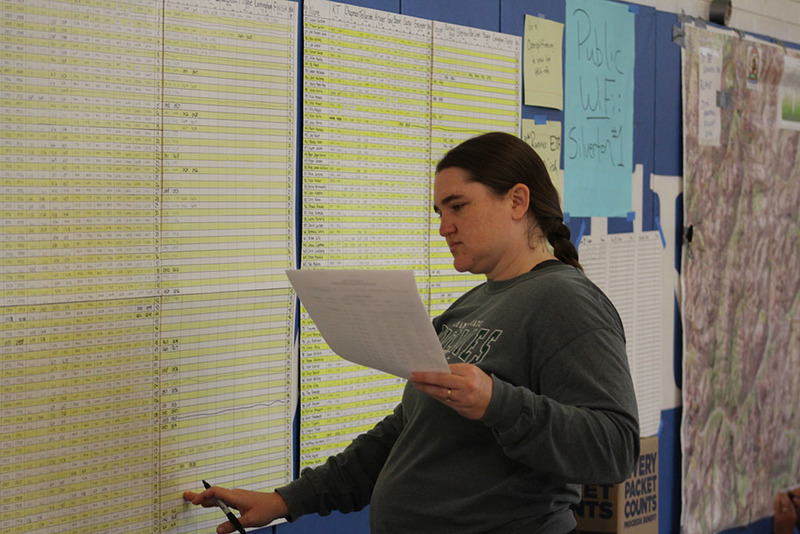 Meanwhile runner progress and news of drops are printed and updated on a bulletin board in the high school gym. It has the accouterments of a modern race, with well-stocked aid stations, well-trained volunteers and crew access points; but Hardrockers also accept the risk of traveling in the high country for up to 48 hours, and must be self sufficient. Entries for the 152 spots in the race are highly-sought after, with thousands of entries in the lottery; but the board of directors fiercely maintains the integrity of that lottery, guaranteeing entry only for the men’s and women’s champions, while handicapping the entries in favor of Hardrock veterans and leaving would-be first-timers completely to chance. Elite runner? Doesn’t matter. Get in line with everyone else. In other words, Hardrock embodies the increased popularity of trail ultrarunning while simultaneously preserving the simple, hard-nosed, self-sufficient nature of the sport that drives so much of its appeal. It is the perfect ultramarathon.